Pinnacle signature series II carnauba paste wax creates a warm, wet-looking shine with nature's finest wax and fruit oils. The results are sizzling shine, depth, and reflection that enhance any type and color of paint. Signature series II is the most impressive wax in its class. In fact, many higher priced waxes can't compare to the shine of signature series II. We've created this wax for perfectionists like you. Pinnacle Souveran Wax produces a shine that is more than just bright. Our finest car wax is bursting with a special blend of Brazilian Ivory Carnauba and natural oils to give the paint tremendous depth and richness. It creates a liquid and 3-dimensional appearance on the paint. Souveran Wax enhances all colors but is stunning on dark colored cars. Reds radiate energy. Blacks take on the shimmer of an infinitely deep pool. 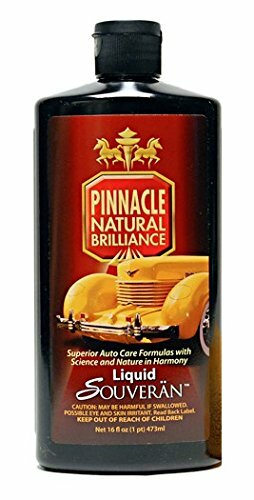 Pinnacle Natural Brilliance PIN-315 Liquid Souveran Car Wax, 16 fl. oz. 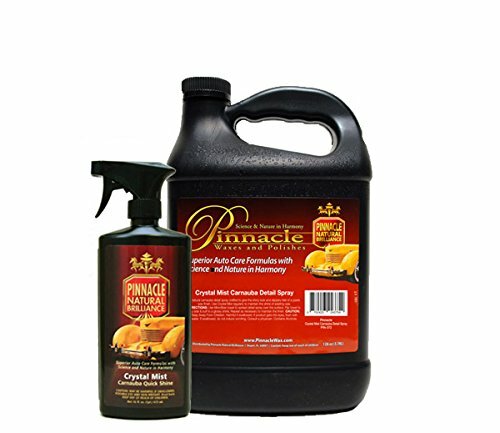 Pinnacle Liquid Souveran Car Wax is formulated using the maximum amount of carnauba wax possible in a liquid formula. Before the carnauba wax is liquefied it goes through a refining process that was originally developed exclusively for Pinnacle's flagship Souveran Paste Wax. After the carnauba wax is refined and all the impurities are removed, Pinnacle's proprietary crystalline polymers are then fused with the wax. 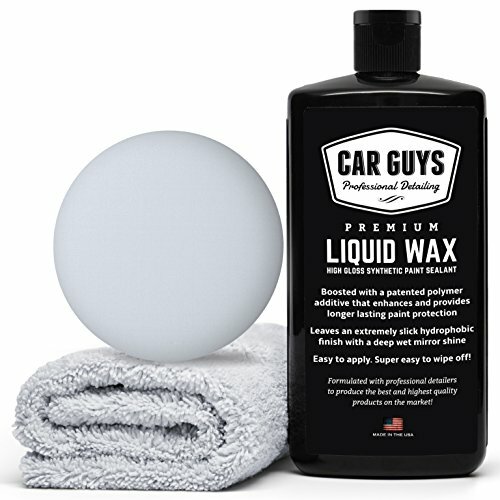 This unique blending process makes Pinnacle Liquid Souveran Car Wax unlike any other liquid car wax available. Pinnacle Crystal Mist is compatible with all waxes and synthetic sealants. The natural oils and carnauba allow Crystal Mist to perform well in hot, humid climates. For the best results, always use a plush microfiber towel. Directions: 1. If your vehicle is particularly dirty, wash and dry it before applying Crystal Mist. 2. Spray a thin, even mist onto one panel at a time. 3. Buff to a bright, reflective shine. 4. Using Crystal Mist as you towel-dry your vehicle will prevent water spots by wiping away mineral deposits. Detailing Tips: Mist dry foam pads with Crystal Mist before applying polish or paste wax by machine. The lubricating oils will allow products to spread more easily. Crystal Mist also helps remove stubborn wax residues. If you are applying a wax or sealant and you find white chalk residue on trim or emblems, use Crystal Mist and a soft cloth to clean up. 128 oz. & 16 oz. 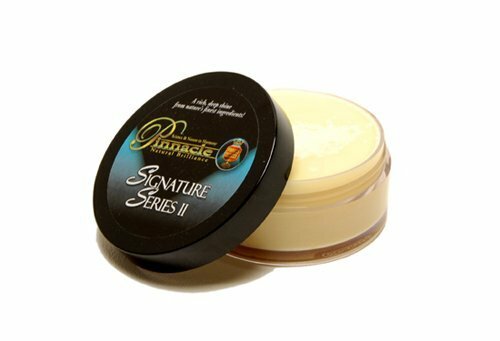 Pinnacle Souveran Paste Wax 3 oz. 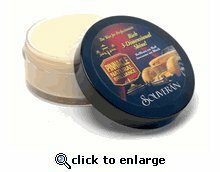 Pinnacle Natural Brilliance PIN-375 Souveran Liquid Spray Wax, 16 fl. oz. 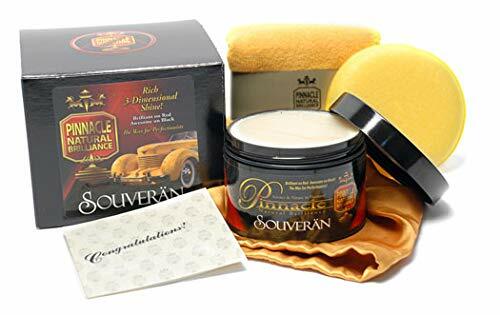 Pinnacle souveran liquid spray wax is a real carnauba wax combined with liquid crystalline polymers and lubricants to create an incredible carnauba spray wax. This true spray carnauba wax works hand in hand with souveran paste wax to produce the most dazzling, wet, multi-dimensional shine possible on any color paint. Paintwork cleansing lotion uses a combination of gloss-enhancing oils, gentle chemical cleaners, and micro-fine fillers to polish your car without abrasives. It removes the layers of old wax and exfoliates the paint surface to restore, renew, and rejuvenate. Oils replenish the paint's texture while the fillers hide any minor imperfections. You vehicle will look new, only better. 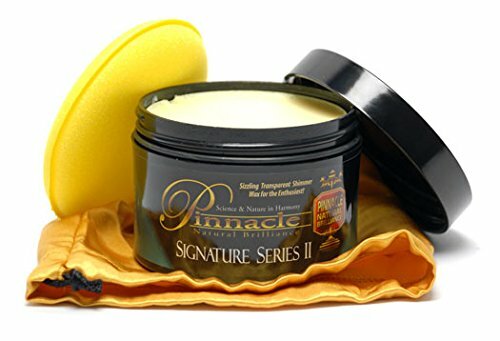 Compare prices on Pinnacle Wax at LiveSaler.com – use promo codes and coupons for best offers and deals. We work hard to get you amazing deals and collect all avail hot offers online and represent it in one place for the customers. Now our visitors can leverage benefits of big brands and heavy discounts available for that day and for famous brands. We try to makes comparison shopping easy with Product Reviews, Merchant Ratings, Deal Alerts & Coupons. Find Deals, Compare Prices, Read Reviews & Save Money.